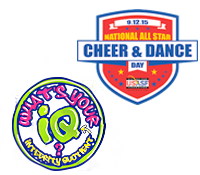 To support and enrich the lives of our All Star athletes and members. We provide consistent rules, strive for a safe environment for our athletes, drive competitive excellence, and promote a positive image for the sport. The US All Star Federation (USASF) was founded in 2003 with the core principle of making All Star a safer sport by establishing fair and consistent rules and competition standards. The organization credentials coaches, certifies safety judges, sanctions events and maintains and adjusts (as needed) safety guidelines, all with the goal of providing the safest possible environment for cheer and dance athletes to train and compete. We are a not for profit corporation established in Tennessee and are governed by Bylaws, officers, a Board of Directors, and 15 standing committees. The day to day operation of the USASF is handled by full time, part time, and volunteer staff.